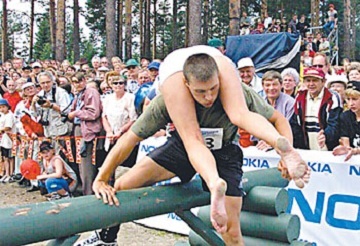 The Darlings triumphed on a tricky Basingstoke course with a personal best of 3 hours 14 mins and four orgasms apiece, and Mrs Darling believes this impressed the selection committee. Her ruggedly handsome husband, fire fighter Richard, spoke of the UK public’s general ignorance of this major sporting event. “A long way,” his wife added.